Karen S. Ivers is a professor at California State University Fullerton. She has published multiple books and numerous articles on educational technology. Ivers, Karen. 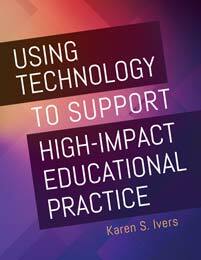 Using Technology to Support High-Impact Educational Practice. Libraries Unlimited, 2018. ABC-CLIO, publisher.abc-clio.com/9781440867026.